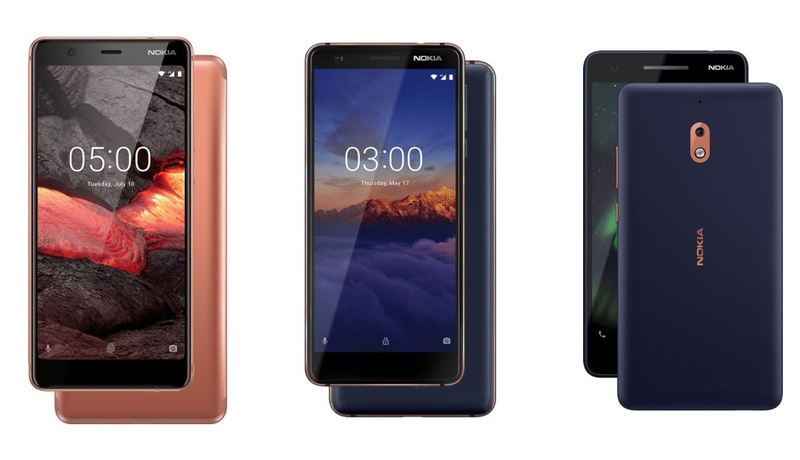 Finnish Nokia phone marketer, HMD Global, has refreshed three of its mid-range Android smartphones , the Nokia 5.1, Nokia 3.1, and Nokia 2.1 for price-conscious buyers. The new phones, the Nokia 5.1, Nokia 3.1, and Nokia 2.1, will be available by July this year for under N79,000, according to Nokia phone makers. The Nokia 5.1 has a 0.3-inch larger display than its predecessor, offering a 5.5-inch Full HD display in an 18:9 aspect ratio that gives the user a fun experience when watching videos or playing games and even browsing the web. It also houses a 2.0 GHz MediaTek Helio P18 octa-core processor, which gives a smoother all-round performance that is 40% faster and more powerful than the previous generation, this makes editing and multitasking easy. Its 16MP rear camera with phase detection auto-focus and wide-angle front camera captures detailed and bold pictures. At the back of the device is the finger print sensor which makes it easy to unlock your Nokia 5.1 with the index finger. The curved screen of the Nokia 3.1 which perfectly unites materials and performance is suitable for mid range users and portable. It comes with a 5.2-inch HD+ display which provides more content at one glance and a 2.5D curved display which is protected by damage resistant Corning GorillaGlass to keep it safe. The Nokia 3.1 gives double the processor cores as it runs MediaTek 6750, an octa-core chipset. The new Nokia 3.1 will be available in Blue/Copper, Black/Chrome and White/Iron with two storage/RAM options: 2GB/16Gb, 3GB/32GB, and will be available starting June 2018. The producer describes the Nokia 2.1 as a long lasting provider of entertainment needs to users who are always on the go as it houses a battery that can last two days, a large 5.5-inch HD screen and dual front-facing stereo speakers. The Nokia 2.1 which comes with a whole 4,000mAh battery charges faster than the previous ones with its HD display that is quite bigger than the previous ones, the dual speakers gives an amazing sound which makes video watching more exciting. The Nordic design of Nokia 2.1 makes it unique in its own way as it is trendy with its colored polycarbonate back which protects the phone from scratches. You can capture the action wherever you are with the Nokia 2.1’s 5MP front-facing and 8MP rear camera with auto focus.The new Nokia 2.1 will come in three metallic colours: Blue/Copper, Blue/Silver and Grey/Silver and will be available starting July 2018, HMD Global says.